Unschooling is a child-led method of homeschooling that is strongly influenced by the work of John Holt. This style of homeschooling is also referred to as “natural learning”, “experience-based learning”, “interest-led learning”, “deschooling”, or “independent learning”. Unschoolers tend to avoid typical school schedules, textbooks, tests or formal lessons; and, prefer to have children learn by following their interests and curiosities. There is also a respect and trust in the natural ability of children to direct their own learning. Unschooling parents see their role as facilitators rather than teachers. An unschooler’s day might include: time outdoors; building projects; helping in a home-based business; reading historical fiction; playing board games; watching videos; drawing; or, creating their own books. They will often focus on one activity passionately before moving onto another area of interest. 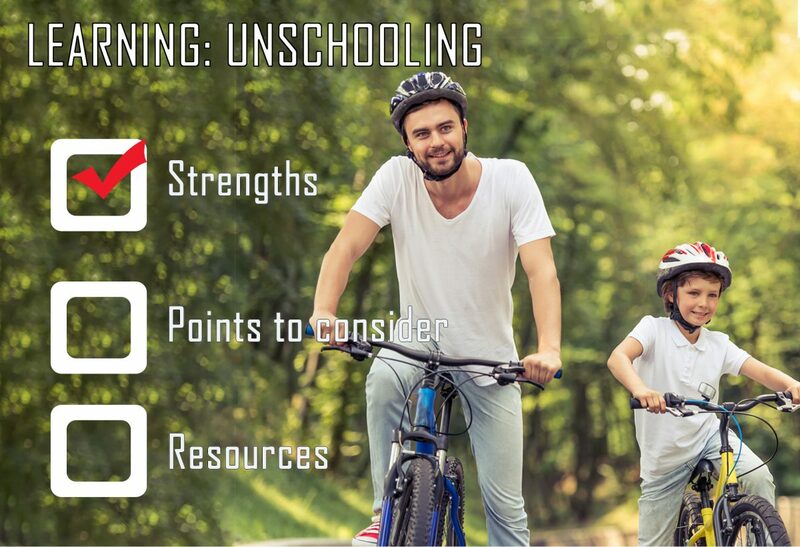 Unschooling may be a good temporary option for children who are recovering from a difficult school experience. Following pursuits that truly interest them may re-ignite a joy of learning.